Inviting six girlfriends to dinner after work, demands efficiency and optimism. Especially when you love to experiment, but hate to fail. The pressure cooker was thus put on his biggest test. 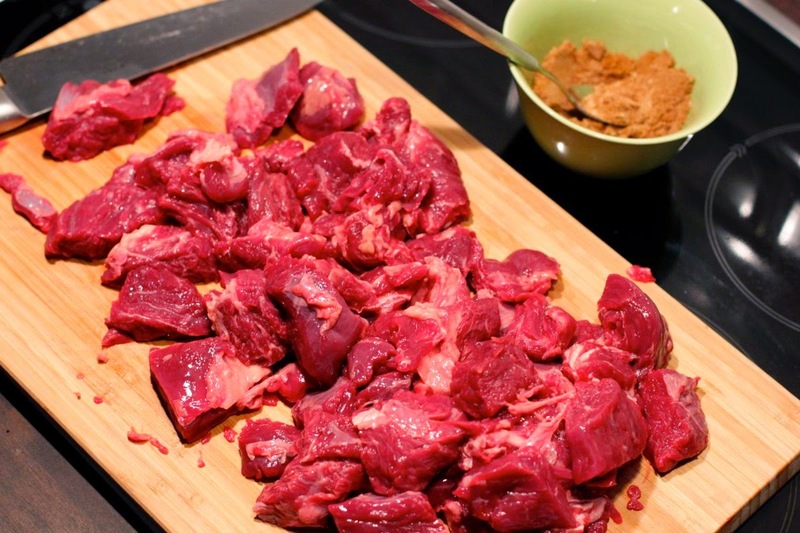 Would it do the job of grinding meat in just ONE hour? Generating flavors like the pot usually requires it triple with time? The answer is yes and yes. Hurray! Slightly freshly squeezed lemon and stevia or sugar for tasting. Start mixing the ingredients into the spice mixture in a bowl. Cut the meat into large cubes and put it in a plastic bag together with the spice mixture. Rub spice into the meat by squeezing on the outside of the bag so that all the pieces are covered with spices. Leave to lie in a refrigerator for at least an hour, preferably until the next day. Brown the meat for 5 minutes in a wide pan or pan. If your pressure cooker is like mine, I advise to brown the meat in the pressure cooker. It is easy for it to fall in the bottom. Add finely chopped onions and coriander stews and cook for a few minutes until the onion becomes soft and smooth. Put the meat into the pressure cooker, set of power and chopped tomatoes. Allow this mixture to boil under pressure for 30 minutes. On induction, do not use excessive heat. This to avoid the scratch bottom. In my experience, it’s good enough to press a little over medium heat. After 30 minutes, release the pressure by holding the lid on the boiler under cold running water. Add apricots divided into two, plums in boats and well-torn and flattened chickpeas. If necessary, try with more power or water. Continue pressing for 20 minutes before turning off the heat and let the pressure drop naturally. This takes around 10 minutes. Taste with some lemon juice and sweetener to achieve the perfect flavor rounding. When it’s left for 20 minutes, prepare the quinoa. Rinse the quinoa well, preferably through a flourish. Put it in a kettle of water and salt. Boil and then lower the heat to around the boiling point. Leave the sieve for 17 minutes until the water is absorbed. Then stir a couple of times and set aside for a few minutes before serving.